In a medium saucepan boil the water over high heat. 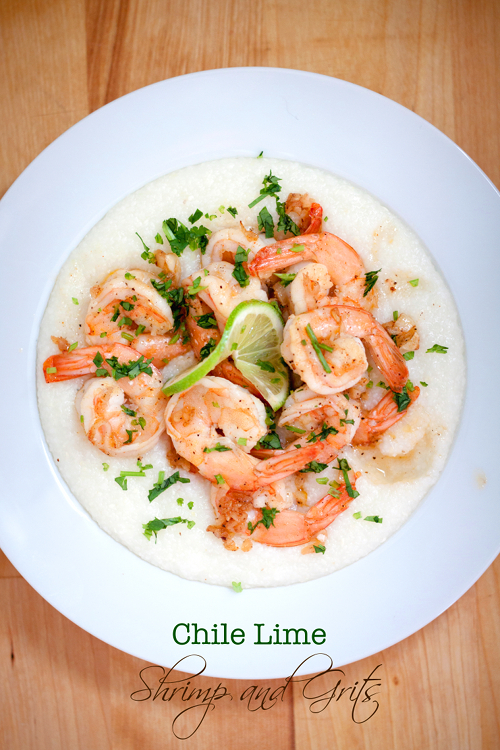 Reduce the heat to low, and add grits. Whisk grits frequently and cook until grits are creamy, about 30 minutes. Add cheddar, parmesan, and 2 tablespoons of butter. Season with salt. Whisk to combine. Remove saucepan from the heat and cover. In a skillet, melt the remaining butter over medium-high heat. Add minced garlic and cook until tender and fragrant. Add white wine and chicken stock, and until reduced in half, about 3 minutes. 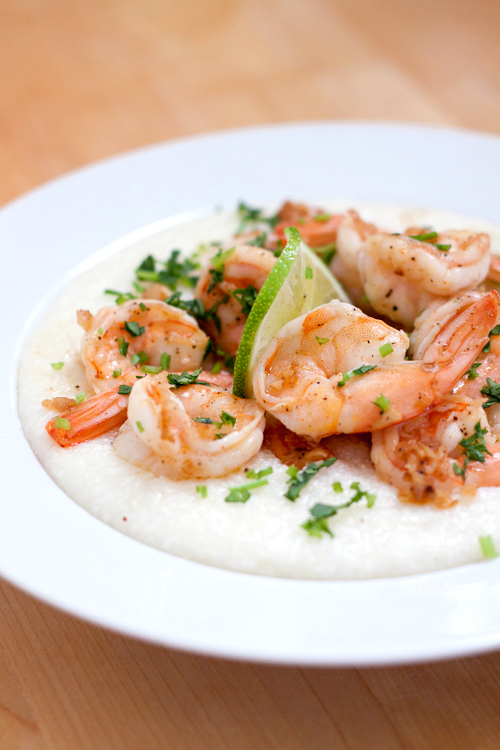 Toss shrimp into the skillet and cook until the shrimp are cooked through and no longer pink. Season with Ancho chile, salt, pepper, and lime juice. Divide grits into 4 individual bowls. Top with shrimp and a little bit of sauce. Sprinkle with chopped parsley, garnish with lime wedge and serve hot. I love your recipe and your testy foods, It good for fitness. Thanks for share that.